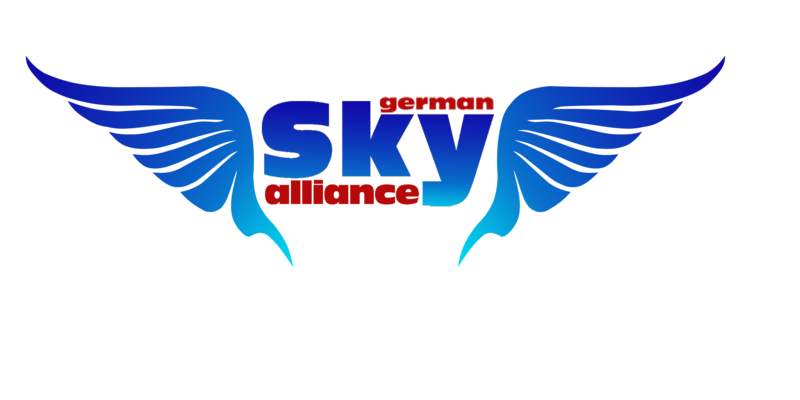 German Sky Virtual Airlines was born at the beginning of 2012, after our first Airlines SKY Virtual Airlines in 2008, and since then its heart has been beating for aviation love and enthusiasm at all. This passion brings us together with our team and we would like to open a new path to virtual aviation world with your supports. With our experienced and professional team, we would like to discover this nice virtual world together and aim to be the best at this area. German Sky Virtual Airlines, SKY Virtual Airlines and Borajet Virtual Airlines are not for profit organization and affiliated these real airlines! with our official permission taken by the CEO, Mr.Isa Görgülü, we express our kind regards to him for his trust and support, we have been representing German SKY Airlines officially since then! with our 3rd Virtual Airlines, Borajet Airlines, also taken official permission from Mr.Fatih Akol (Borajet Airlines CEO), we strengthened our airlines and all under German SKY Alliance. Special Thanks to Mr.Fatih Akol for his trust and support again! Our Pilots are free to fly on Virtual Air Traffic Simulation Network (VATSIM) and also on Internaional Virtual Aviation Organization (IVAO) platforms. We would like to welcome all Pilots around the world and express our kind regards to you all. No matter where and how, we all meet somewhere in the air. Feel the difference with us.